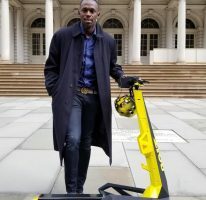 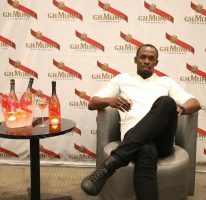 10th March 2014 – Usain added another award to his growing collection as he was awarded the Jesse Owens International Trophy Award at a ceremony in New York. 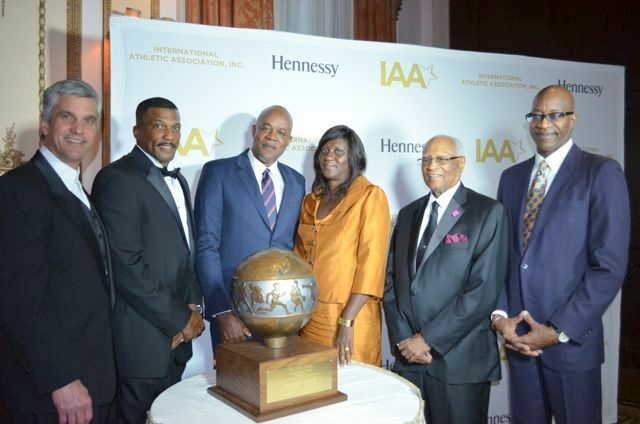 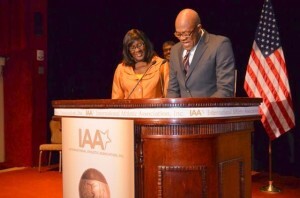 The award was presented by the International Athletic Association (IAA), one of the leading athletic organizations providing recognition and support to professional and amateur athletes. 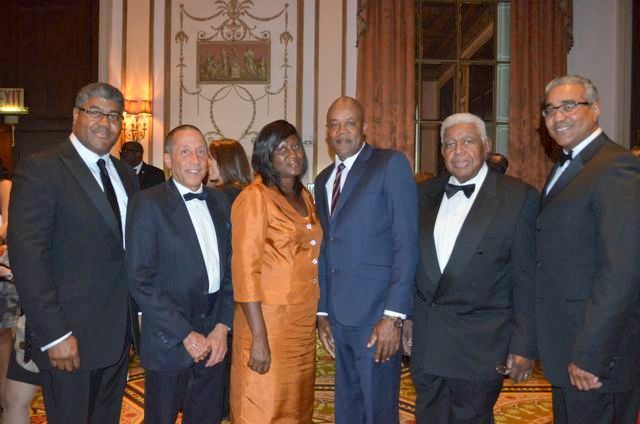 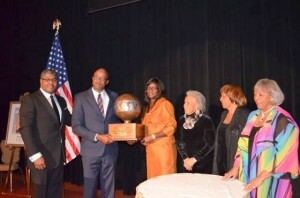 The award, presented annually to one world-class athlete based on their values of integrity, uncompromised sportsmanship, and excellence in athletic competition was created in 1981 in honor of the celebrated track and field star American star Jesse Owens who won 4 gold medals in the 1936 Olympic Games in Germany. The trophy was last presented in 2003 and the IAA is proud to bring it back to its rightful place among sports’ most prestigious awards. 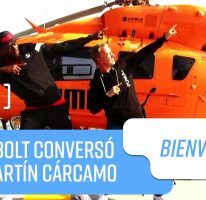 Bolt the fastest man in track and field history, was up against some illustrious candidates such as ; Tiger Woods (USA, Golf) , Serena Williams (USA, Tennis), Mo Farah (GBR, Athletics), Michael Phelps (USA, Swimming), Lionel “Leo” Messi (Spain, Soccer), LeBron James (USA, Basketball) and Marit Bjoergen (Norway, Cross-Country Skiing).